The new range of Hunter Gloss wellies are everything you’d expect from the originals: comfortable, handmade, long-lasting, and eye catching; an instantly recognisable quality brand and product. The history of the Hunter boot is almost as long as Philip Morris and Son, and with a Royal Warrant from the Duke of Edinburgh and the Queen in 1977 and 1986 respectively, they are an internationally recognisable product we are proud to stock. With the seal of approval from the Royal Family, you know they are a brand you can trust. Our range is equipped to suit all tastes, with a number of different styles to choose from. 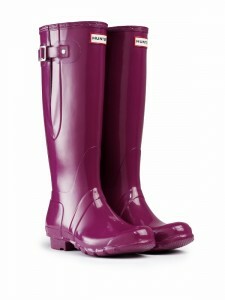 The new range of Hunter Gloss Original Boots makes them this summer’s must have festival item. With the British summer festivals around the corner, and the summer rain looking set to last, a good quality pair of boots is essential. With our extensive range of colours, sizes and boot lengths, there is something for everyone. 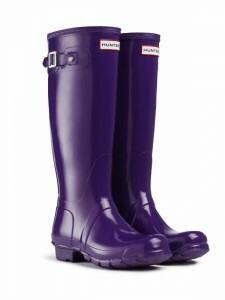 Even if you are not braving the festivals, Hunter boots are the perfect bad weather protection in footwear. The care and effort has been put in to making these boots as comfortable as possible, ensuring they can be worn all day, while keeping you warm and dry. Once you have your shiny new Hunter’s, we also have Hunter Socks and Liners to complete the look. The fleece socks, and range of boot cuffs give an individual look to your boots, and keep you warm. To keep your boots looking new, while protecting the rubber, the Hunter Wellington Boot Buffer, and Hunter Rubber Care Kit offer one of the best aftercare packages around. Hunter boots also come with a 1 year warranty. Whether you’re looking to replace an old pair, or ready to make your first investment into Hunter, we have the boot for you. The new range of Hunter Gloss Original Boots can be found in our Country Clothing store from July. 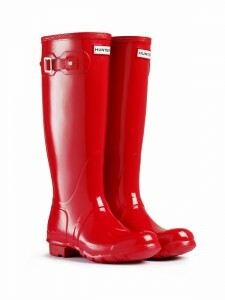 festival wellies, hunter, hunter boots, hunter wellies, Hunter wellingtons. Bookmark. Which brand of barbecue to buy?